At the beginning of the season, many believed that the Wizards would be contending for home-court advantage in the playoffs. However, this team fell off from last year and were the eighth seed. The injury to John Wall would seem to be the reason for this, but for a majority of the time that he was out, the Wizards were actually playing great basketball. Ironically enough, the chemistry was better and the assists per game were higher with their starting point guard off the floor. Whether or not the Wizards were better with or without him was up in the air. Yet, it’s hard to believe that by losing John Wall the Wizards were better. Afterall, he is an All-Star that averaged just under 20ppg and 10apg. However, Wall does only shoot 42% from the floor with four turnovers per game. Without him, this team is likely to be out of the playoffs. With him, they are apparently no better than the Heat or Bucks. Wall played quite well against the Raptors in the first round, and the Wizards were able to force it to six games. John Wall averaged 26ppg, 11.5apg, 5.7rpg, and 2.3spg in the series, which needs to be noted. I would argue that the Wizards are better with Wall on the floor because it gives them another option other than Bradley Beal. Looking at the stats that he put up this past playoff series shows exactly why he is the best player on the team. What hurts the Wizards is the depth and lack of offense from the other players. Otto Porter and Kelly Oubre are not exactly the type of players to create their own shots, but with the help of John Wall, it makes their shots easier to get. The same would go for Markieff Morris and Marcin Gortat. Wall’s driving ability gives these two big men the ability to get put-backs, tip-ins, or a Wall drop-off-pass for an easy layup. It’s clear that Washington needs some help. Mike Scott on the Wizards was the third best scorer for the team, averaging 10.8ppg. He was one of four players to average double digits against the Raptors. The first two leaders in ppg were obviously Wall and Beal. The fourth player was Otto Porter at 10ppg. Gortat, Morris, and Oubre all underperformed scoring in this series. If there is one negative to this situation, I will say this, the Wizards will owe John Wall nearly $38 million in the 2019-20 season, and in 2022-23, he has a player option of almost $47 million. The Wizards are better with Wall on the court, but is paying him this much in the future to be a mediocre team worth it? The kryptonite for this Wizards team is that they don’t play team basketball. This playstyle isn’t necessarily Wall’s fault. Oftentimes the Wizards will play a stagnant “default” offense that looks a lot like the Cavaliers and Bucks. Give the ball to the star players and hope they do something with it. When Wall went out, the team was forced to pass more frequently because they couldn’t constantly force Bradley Beal to do all the work. That’s the main reason why the Wizards were successful without Wall on the court. It doesn’t seem as if the Washington Wizards organization is looking to find a new head coach to create a better offense for the team. So, they will need to rely on free agency and trades to get players more able to create their own offense. This would then create more space, less workload on the starting guards, and hopefully a better bench. If they can’t do that, I would honestly not be surprised if they blow up the team in a year or two from now. 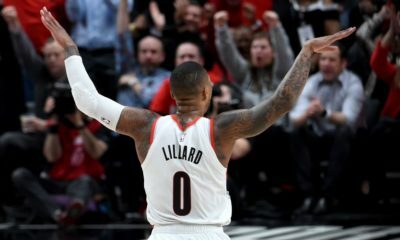 They look eerily similar to the Blazers, but at least Portland was the third seed and plays in a much tougher conference. The Wizards look weak and disorganized at the moment. Their moves this summer could be a key determinant in the future of this franchise. Can the Wizards Do Anything this Summer? If the Wizards were to grab one or two players that could create their own shots, then their team wouldn’t need to be so stagnant all the time. The best-case scenario for Washington would be if they got low contract, quality bench players. They need to fix the bench, but don’t have enough cap or assets to improve their starters. 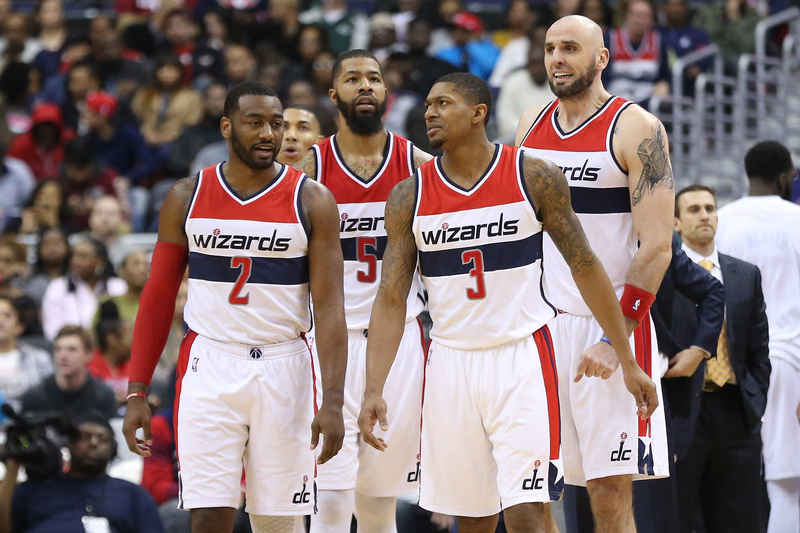 If Washington was to do something with their starters, it would be trading Marcin Gortat. He will be 35 next year and will be in the final year of his contract, making $13.5 million. Gortat might be a nice piece for Dallas, as we have heard of their interest in big men this summer. They could also try trading Ian Mahinmi if Dallas doesn’t want Gortat. Mahinmi’s contract is 2-years $31.5 million, so trading him might be the better option for Washington. 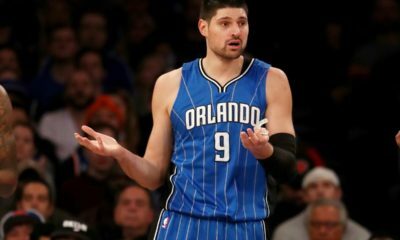 Despite the need for free agency help, the Wizards do not have a big enough cap to sign impactful free agents. 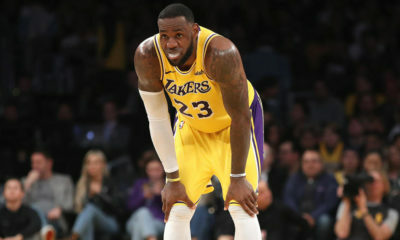 They will only have $8.5 million, at best, to work with, as they only have three small contracts expiring and Jodie Meeks’ player option pending. The following year they will have six contracts expiring, creating a total of $37.4 million. It seems as if the Washington Wizards will need to wait another year before expanding this team further than Wall and Beal. I expect a lot of the same for next season’s Wizards. This doesn’t bode well for Washington, as they are nearing a blow-up if an improvement isn’t made soon.